How do you value your time? Do you find yourself wishing you had an extra day in a week? 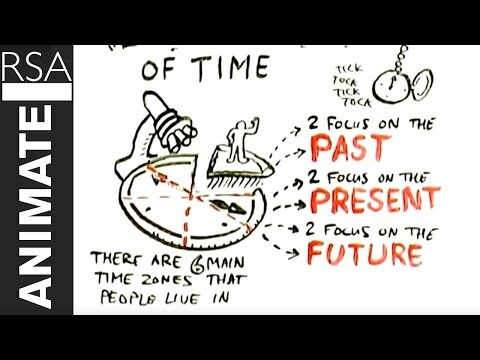 In this wonderfully animated video (10 min), Professor Philip Zimbardo conveys how our individual perspectives of time affect our work, health and well-being. Time influences who we are as a person, how we view relationships and how we act in the world. Are you past negative or positive, present hedonistic or future orientated? He argues whole countries, cities and populations can be ranked by these criteria’s. Watch the full length (41 min) RSA talk here. And here are links to the mentioned “Marshmallow Experiment”: Kids Marshmallow Experiment (Funny) and The Marshmallow Experiment & Time explained by Professor Philip Zimbardo.